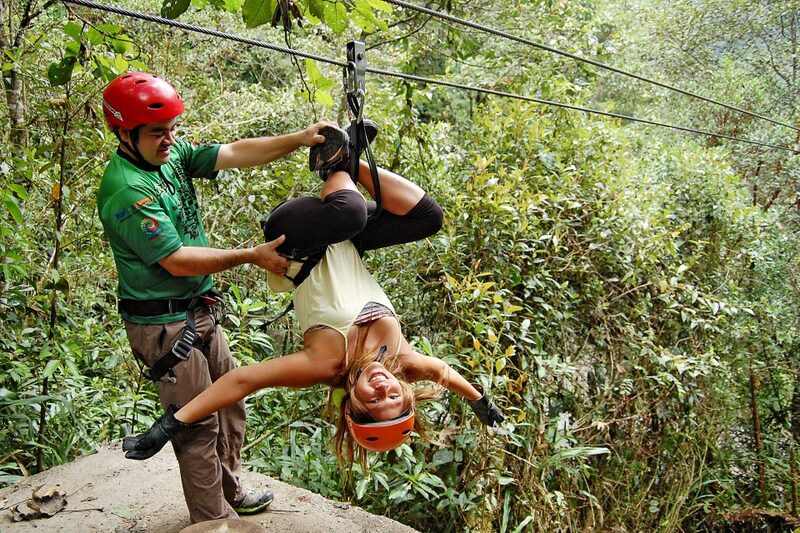 Although not on the extreme side, ziplining through canopies in Baños can be a great way to spend a couple of hours. Having ziplined a couple of times before, we thought it would be your standard zooming through a couple of trees kind of thing. 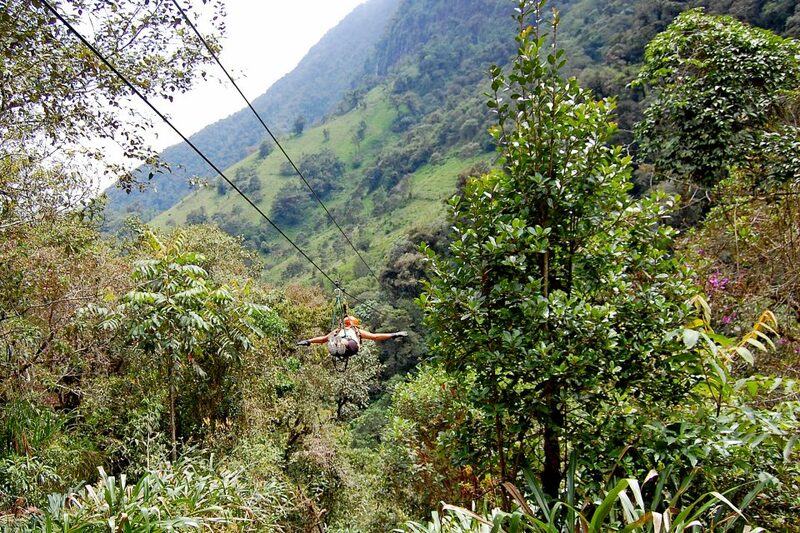 As soon as we got to Puntzan Canopy, we knew it would be an awesome experience. 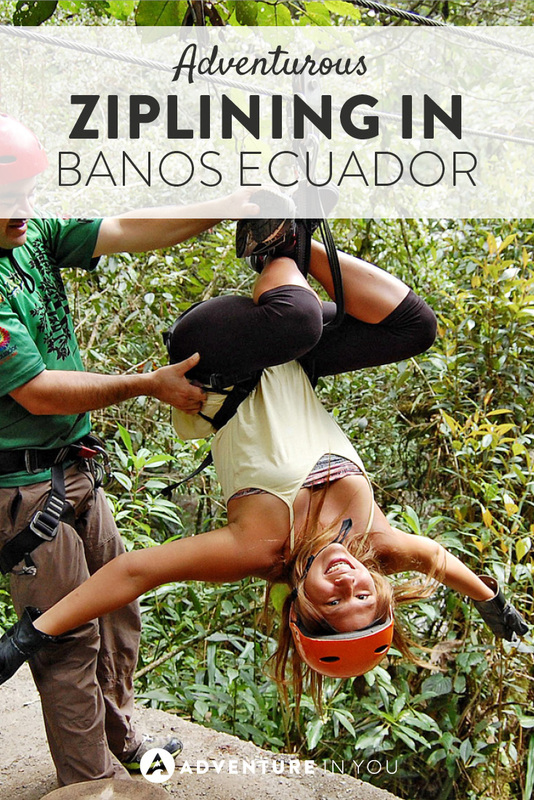 The Cost and Where to Book this day of Ziplining- Hello GeoTours! The company, is made up of small family groups that are determined to look after the environment. 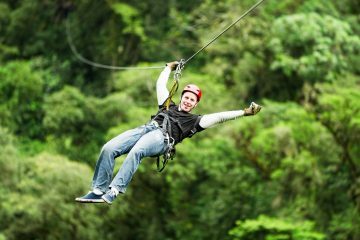 They created this ziplining tourist attraction to help maintain sustainable tourism by giving jobs and opportunities to locals. The guides are well trained and acted professionally the whole time we were there. You get a good rush but always feel safe. The day started like most of our days in Baños , in the GeoTours office. We were greeted by our friendly driver, quickly hopped in the van and made our way to the Ziplining location. 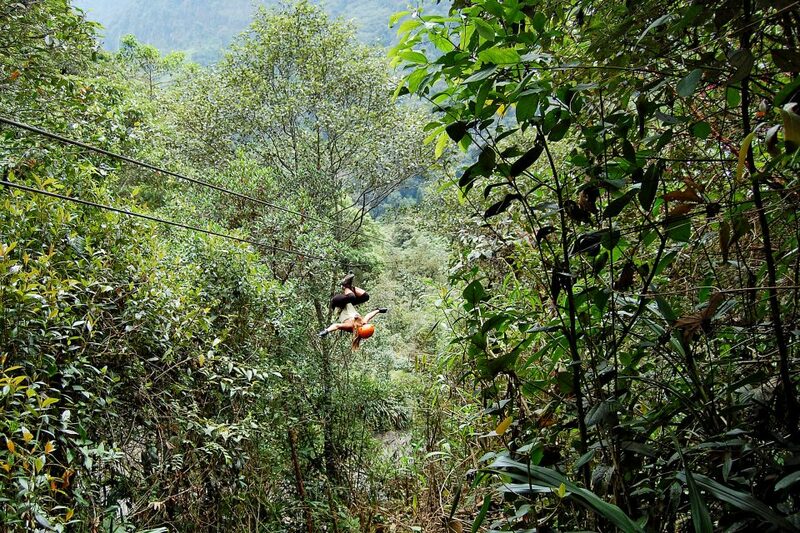 The canopy and zipline area is set within a National Park. The lush greenery and the gentle sound of water rushing through the river was enough to get us pumped for a couple of hours. 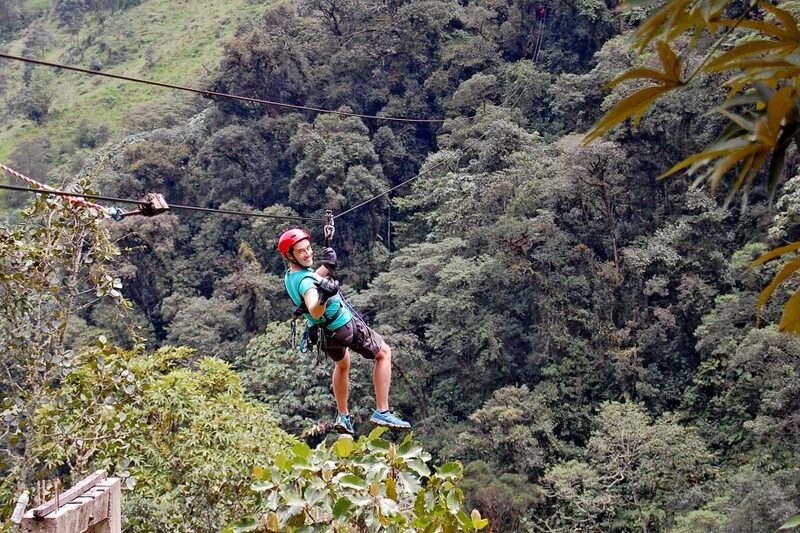 Set between a series of 6 ziplines, you make your way around this canopy, zooming through ziplines of different lengths and in different positions. When you first arrive, you are greeted and instructed to make your way to the gear room. There you are fitted with all the necessary equipment for this activity, harness, helmet, ropes etc. This was done quickly and soon, we started walking the path that takes you to the start of each Zipline. At the start of the 1st Zipline, we were given all the safety information and instructions needed to enjoy the day. You can’t do much wrong when it comes to Ziplining so again this was quick. We each took it in turns getting strapped on for the 1st ride. I didn’t expect much but honestly the first ride took me by surprise. The views and feeling of flying through the air quickly brought a smile to my face. After finishing the first Zipline, we continued along the path to the second. Seeing that everyone had a smile on their faces and felt comfortable the guide explained for this line we would be hanging upside down. Yep, that’s right, up side down! This pattern of doing different things per Zipline continued, which was awesome and made the experience even better. After being upside down with blood rushing to my head I was eager to see what was next. Next was the classic superman, which was by far my favorite followed by whatever position you felt comfortable doing. Imagine flying through the air upside down, lying down, seated, while taking in the breath taking views of the mountains and trees around you. It was truly a better experience than I was expecting. I am used to jumping out of airplanes in Switzerland or scuba diving with sharks, but honestly it was nice and enjoyable thrill! Zipline 5 was unique with the fact you were allowed to go with another person secured to the wire next to you. 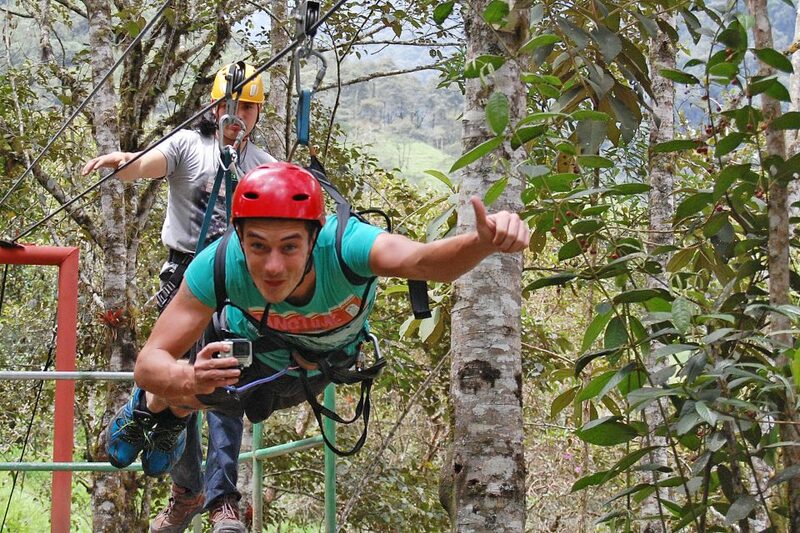 This made it good for, wait for it… Zipline selfies! The last was the longest line and one of the most scenic due to how high it is. Insider Tip: Wear long trousers and tuck them in. There are loads of small jungle flies which bite around your angles. Very similar to sand flies, these nasty little things will make sure you are itching for a week after. The prices change depending on season but head on over to GeoTours website and contact them for up to date prices. We can’t recommend GeoTours enough! They are highly professional, organized and generally happy people. 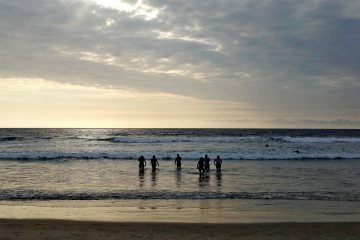 If you have read our other articles about Whitewater rafting in Baños , Cayoning, etc you will see we chose to do all our activities with them. GeoTours information can be found below by clicking the links. We were surprised by how much we enjoyed the experience. 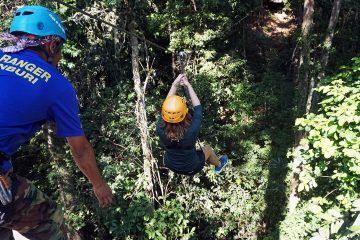 It was better than any other Ziplining we have done, due to the variety of lines you can ride and the different positions you can try out. The adventure is not the most adrenaline fueled one in Baños but a nice day out none the less. If you have some extra time put this down on your list.